Saxo Capital Markets UK, the UK subsidiary of Denmark’s Saxo Bank, has named Andrew Edwards chief executive, succeeding Mateo Cassina, who has left the company. From January 2018, he will be in charge of overseeing the bank’s partnerships and collaborations as well as ensuring that its private clients are given access to multi-asset trading capabilities, the company said. He joins from ETX Capital, where he most recently held the position of CEO, and where he had been employed for 14 years, beginning as head of its US equity desk before becoming head of trading and subsequently, managing director and chief executive. 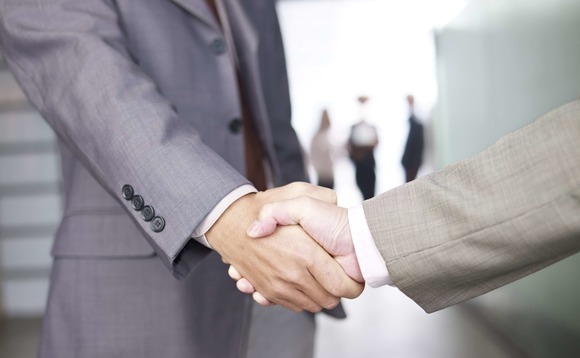 Neuberger Berman, the New York-based, employee-owned asset manager, said it had added two executives to its institutional sales team covering Europe, the Middle East and Africa. Jamie Wong has been named to lead the firm’s consultant relations operations for the EMEA region, while Robert Payne has been named to oversee its engagement with the insurance industry across the region, Neuberger Berman said. Wong joins Neuberger from Janus, where she was head of UK and European institutional sales. Prior to this she focused on international consultant efforts at Lazard Asset Management, Neuberger said. Payne was previously a director in DCM Client Solutions at UBS, where he focused on the development and execution of customised strategies for insurers and pension funds in the UK and the Netherlands. Prior to UBS, he was an associate in structured solutions at Nomura. 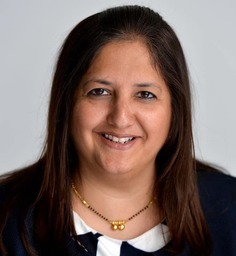 Butterfield Mortgages, the London-based property finance subsidiary of the Bermuda-based Butterfield financial services group, has promoted Alpa Bhakta to chief executive. Bhakta, pictured, had been managing director of the Butterfield Mortgages subsidiary since it was created, via a rebranding, in January, following the winding down of Butterfield’s London-based private banking subsidiary in 2016. Prior to being named managing director of Butterfield Mortgages, she had been head of European Lending at Butterfield Bank (UK) Ltd, as the London banking operation had been known, from 2012, ahaving joined the banking group in 2011 as head of property finance. Prior tot his she had worked for such other companies in the sector as BNP Paribas Fortis, Credit Agricole Indosuez and NatWest. Bhakta’s promotion came as its standalone mortgage business in London prepared for “a significant expansion in the field of prime property lending to high-net-worth individuals” in the wake of its hiring of four experienced business-development staff: Ralph Punter, Christopher Watts, Amar Mashru, and Kevin Turmore. Macquarie Group, the Sydney, Australia-based investment banking and financial services group, has named Emanuele Di Stefano senior managing director of its its quantitative investment strategies (QIS) business. It wasn’t immediately known if the position was a new one. Di Stefano comes to Macquarie from Citi, where he had been global head of its multi-asset QIS structuring team. Prior to this, he led a QIS structuring team at Deutsche Bank. Altogether, he brings more than 23 years of experience in QIS, derivatives trading and structuring to Macquarie, the company said. At Macquarie, he reports to Arun Assumall, senior managing director of the company’s Commodities and Global Markets group. Bringing more than 23 years of experience in QIS, Di Stefano will lead the development of Macquarie’s multi-asset QIS offering to complement its existing Commodity Investor Products business.